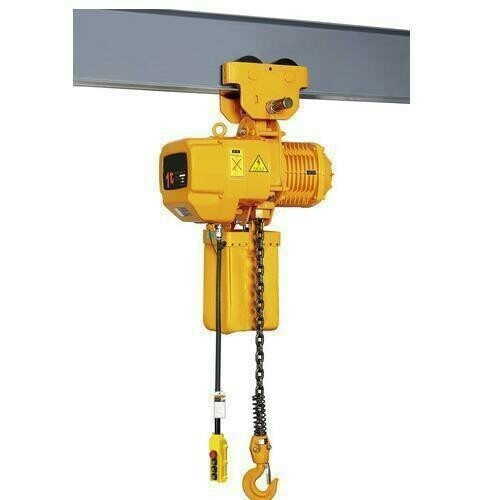 With the years of experience and expertise, we are engaged in manufacturing, supplying, exporting, importing and wholesaling a large array of Electric Chain Hoists. These products are strong and sturdy in nature and offer high level of performance. These products are conveniently used and needs minimal maintenance. We are offering these products at affordable rates. A.K. Industries is a sole proprietorship company, established in 2009. We are engaged in manufacturing, supplying, exporting, importing and wholesaling a comprehensive range of Wire Ropes, Steel Chains, Lifting Tackles, Lifting Equipment, Life-Saving Products, Rope Slings, Wire Rope Cutters, Nylon Ropes, Pipe Clamps, Lifting Clamps, Rope Pulleys and Lifting Hooks. These products are manufactured using quality approved material, which we source from the reliable market vendors. We strictly adhere to industrial suggested quality control measures to ensure that the products we offer are in accordance to the set guiding principles of industry. Customized solution is provided according to the details specified by our esteemed clients. Various quality guiding principles are adopted, through which we ensure to deliver flawless range in the market.